AMES, Iowa — When vegetable farmer T.D. Holub tried to grow cauliflower all summer long two years ago, to offer his customers a steady supply, he encountered a problem familiar to many Midwestern producers: the crop’s extreme sensitivity to climate conditions. T.D. will share his experience with this finicky crop at Practical Farmers of Iowa’s 2019 annual conference, “Cultivating Connections,” which will take place Jan. 17-19 at the Iowa State Center Scheman Building, on the Iowa State University campus in Ames. In “Cauliflower Production,” D., along with Rebecca Graff and Tom Ruggieri of Fair Share Farm in Kearney, Missouri, will discuss how they have raised and stored cauliflower on their farms, along with their successes and ongoing challenges. In “Eggplant Production,” Rebecca, Tom and Ajay Nair, horticulture professor and extension fruit and vegetable specialist at Iowa State University, will discuss growing, harvest and pest management methods. In “Storage Onion Production,” Kate Edwards, of Wild Woods Farm, and Dan Fillius, produce safety specialist with ISU, will share their methods for dealing with this notoriously weedy and disease-prone crop. Register on the PFI website, or contact Debra Boekholder at debra@practicalfarmers.org or (515) 232-5661. Those who pre-register by Jan. 10 will save $10 per day. Special rates are available for students and PFI members. Numerous other horticulture sessions, on topics ranging from finances and farm labor, to diversifying and managing multiple farm enterprises, to biodynamic production, and more. Featured speakers will include Scott Thellman, who raises a mix of field crops and vegetables, including 50 acres of organic and conventional vegetables at Juniper Hill Farm in Kansas; and Nathan Corymb, a biodynamic farmer who is well known in the vegetable seed-saving community. Two pre-conference short courses, including one on silvopasturing that will explore in-depth the growing practice of integrating trees, livestock and forages. Both the “Silvopasture” and “Orcharding” courses run Thursday, Jan. 17 from 1-6:30 p.m. and continue Friday, Jan. 18 from 8-11:30 a.m., at the Scheman Building. 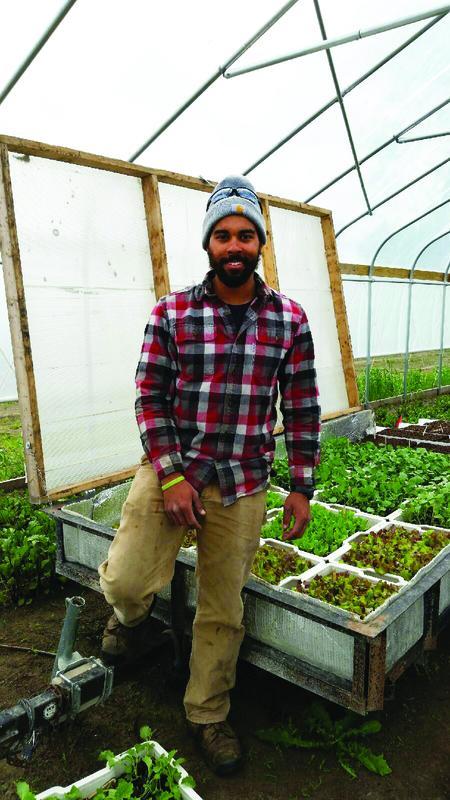 A keynote address by farmer and author Michael Phillips, of Heartsong Farm Healing Herbs and Lost Nation Orchard in New Hampshire, who will help listeners understand the vital link between mycorrhizal fungi and crop health, and explain how this fungal network can help foster resilience in ecosystems. Many opportunities to network and build relationships with other farmers, researchers, consumers and sponsors – including during the free breakfast served on Saturday morning. For full details on conference sessions, speakers, vendors and lodging options – as well as a downloadable conference brochure – visit PFI’s annual conference webpage. Practical Farmers of Iowa’s 2019 annual conference is supported by several major sponsors, including: Albert Lea Seed; Clarity Financial Planning; Clif Bar & Co.; Grain Millers; Hall Roberts’ Son, Inc.; Iowa State University Department of Agronomy and Graduate Program in Sustainable Agriculture; Natural Resources Defense Council; and Niman Ranch. Practical Farmers of Iowa works to equip farmers to build resilient farms and communities. Our values include: welcoming everyone; farmers leading the exchange of experience and knowledge; curiosity, creativity, collaboration and community; resilient farms now and for future generations; and stewardship of land and resources. To learn more, visit http://practicalfarmers.org.